Sometimes, a speedy jaunt out of town is exactly what your system needs. A brief absence to to recharge, to rejuvenate...One of the best parts about living in Los Angeles is the many possibilities for weekend trips reachable by car. On a sunny summer Friday, we did just that. Threw a weekend bag into the car and hopped onto the 101. Having made several trips to Santa Ynez already, we didn't feel the need to pack the itinerary with an exhausting amount of to-dos. This particular trip was more about breathing in some fresh country air and returning to Los Angeles rested and renewed. After some agonizingly patchy traffic up the 101, we found solace at an awesome boutique hotel, The Landsby, right around dusk. It was a relief to step into the mid-century styled lobby, retrieve our room key and flop onto the luscious king-sized bed. First things first, a drink at the lobby bar at The Landsby. Clean and minimal design in the rooms at The Landsby. Dinner at Mad & Vin Restaurant was one of the best food decisions we made during the trip. We ordered the short rib skillet, the seafood hot pot, and sampled a few local pinots with our entrees. It was the perfect balance of California-inspired cuisine - homey and delicious, bursting with an array of balanced flavors that didn't feel pretentious or "trying too hard". The following morning, breakfast was served in the main dining room, a striking light-filled space with a side patio. Continental style juice and muffins were available for the taking, and protein options could be made to order from the menu. It was a lively scene that ranged from families to new couples on their first LA getaway. Continental breakfast options available as part of our stay. The light-filled space transforms into a moody dining room in the evening. Love the Scandinavian details and the contrast of light and shadow in the late morning. The patio is just as well-thought out as the interior. Needless to say, we were not in a hurry to leave. After breakfast, we lingered in the lobby that felt more like a well-designed (yet cozy) living room. We admired all of the thoughtful design accents, from the knickknacks on the wall shelving, the hanging succulents, to the Scandinavian bird sculptures by the window. Alas, it was then time to check out so we brought ourselves upstairs to pack up and venture into downtown Solvang. Founded in 1911, Solvang means "sunny field", and while it is no longer much of a 'field', the sunny description remains. 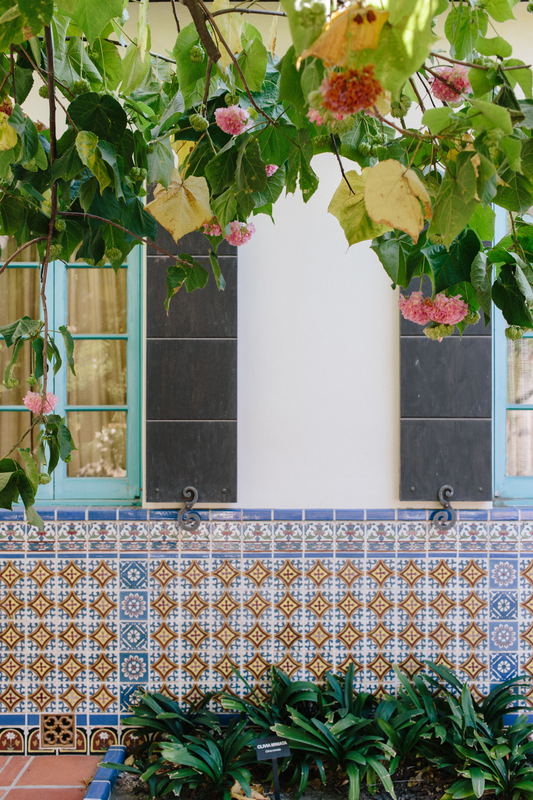 Originally established as a town for Danish immigrants, its unique history, authentic architecture, and prime location (not to mention gorgeous weather) in the fertile Santa Ynez Valley has turned it into an enticing destination for eating, wine tasting, and shopping. The quaint streets of downtown Solvang, California. Our first stop was Copenhagen House, a haven of Scandinavian-designed home goods, beauty products, and accessories. It is located on Copenhagen Drive, which was originally Solvang's Main Street back in the early 1900s when Danish settlers began establishing businesses in this little town away from home. With all of the Danish sweets to partake in around town, it can get a bit overwhelming. The family-owned Mortensen's Danish Bakery is a must-stop for traditional pastries. Optional is the Old Danish Fudge Kitchen with heaps of fudge sold by the pound alongside of cotton candy and caramel apples. However, the Aebleskiver, translated as "pancake balls" is not to be missed. It is popular as a Christmas dessert in Denmark but eaten year round in California. Usually a line forms pretty quickly in front of this small window at Solvang Restaurant. After sufficiently walking off the sweets and exploring the cobblestone corridors, make your way to a vineyard to lull away the rest of the afternoon away before heading back to Los Angeles. Get in line early for this in-demand Danish delicacy. The famous aebleskiver from Solvang Restaurant, topped with a generous heaping of powdered sugar. One of the signature Solvang landmarks. Indulge your sweet tooth at Mortensen's Danish Bakery. It wouldn't quite be fair to say we saved the best for last, but after a restful night at The Landsby and a languid stroll through downtown Solvang, it doesn't get any better than a crisp bottle of sauvignon blanc enjoyed in the open air at Rusack Vineyards. With ample patio seating as well as space to sprawl on the lawn, the warm and friendly atmosphere is perfect for families, groups, or couples. We brought our go-to picnic blanket and spread our charcuterie out on the lawn, sipping our wine with views of the vineyard it came from right in front of us. It was the perfect end to a brief yet relaxing trip before heading back to the hustle and bustle of Los Angeles. For Angelenos, the familiar sight of spinning turbines on the 10 East are a visual indicator that city life is behind us (for a time at least) and a promising desert sojourn is right around the corner. Driving to Miracle Manor Retreat for the 3rd year in a row this October, I felt a lightness wash over me as I watched the turbines whisk from my passenger window and into the rearview. While there are many reasons to for a desert getaway, this particular trip was for rest and relaxation in Desert Hot Springs after a few whirlwind months of shooting and editing. A few miles north of the mid-century splendor of it’s glitzy sibling, Palm Springs, DHS is a gem for those looking to relax and rejuvenate in its healing mineral waters and wide expanse of mountainscapes. Arriving at Miracle Manor is a low-key affair, much like a stay there. We checked in on Thursday afternoon and had our pick of parking spaces. After getting our room key, we were left to unpack and unwind. Sustainable & recycled construction materials in use. Desert plant landscaping conserve water. Life revolves around the mineral pool. Nooks to relax, write, and read. The hot mineral water in the designated “Spa Zone” of Desert Hot Springs is coveted for its many healing properties. As my favorite yoga instructor Sara Ivanhoe says, “Yoga is not something you do, it’s something you are.” So is Miracle Manor. It’s not a fancy place to go and plan excursions around - it’s a place to simply be. A place to feel stillness, absorb the dry desert air, a place soak away any tensions from life in LA (or anywhere else). Surround yourself in the healing elements of nature - the effervescent mineral water, the open landscape, the mountain peaks in the near distance. Rise and rest to the rhythm of the sun. First things first - diving into the warm mineral pool. Basta Surf bikini top. Brazilian cut bottoms. In the welcome packet in each room, there is a mineral analysis of the hot water, which I find both fascinating and comforting. Silica 021.50; Iron oxide trace; Calcium 045.10; Aluminum oxide trace; Magnesium 005.10; Sodium 268.60; Sulfate 493.60; Chloride 120.50; Biocarbonate 129.00; Fluoride 005.30; Hydrogen ion activity 008.30. For a deeper dive into a relaxed state, a selected array of massage, ayurvedic treatments, cupping, and acupressure are offered. Each room has a mini outdoor seating area. Side table perfect for books, wine, or tea, depending on the time of day. Breakfast is included in the main room between 7am and 10am. On a weekend morning, it's a fun opportunity to chat with some of the other guests. The vibe at Miracle Manor is one of serenity - everyone staying is respectful and considerate of each other and the space we're all occupying. Personally, I relish mornings of silence and reflection so I like to take my tea to the green patio chairs just outside each room and curl up with robes provided, reading, journaling, or just observing. Flower detail next to the check-in table in the main room. Breakfast area - toast, bagels, tea, and coffee available in the morning. Besides a few bikinis (or one pieces), not much is needed here. I brought a pair of slip ons, a straw hat, and a breezy white dress purchased in Bali that can easily double as a cover-up. Being in the desert, the temperature does drop at night, which is where an all-purpose chambray shirt comes in handy. Sustainability is a major priority at Miracle Manor. We can't get enough of the soft and cozy organic cotton bed linens. The amenities include Rosemary Mint shampoo and lotion and a divine smelling sage soap. Landscaping with desert plants conserve water use and the gardens are watered with pool overflow. It feels incredibly restorative to be in a place that is so loving and considerate of Mother Earth. Organic cotton sheets on the bed. Straw hat, chambray shirt, white dress. Heading to the sun loungers. Travel reads - NYT Magazine. Unobstructed mountain views from the pool area. Watch a magnificent sunset wash over the mountain. The pool is open 24/7 - there's nothing like a night time swim under the stars. - We love it there on weekdays - almost like one's own private retreat. - Pack enough food, snacks, and liquids in case you decide not to venture into town. All the rooms have a refrigerator and selected rooms have a kitchen. - A yoga mat is a nice addition if you want to do sun salutes on the elevated patio facing the mountain as the sun rises over it.